Dallas Area Rapid Transit (DART) received a $1 million grant from Toyota Motor North America Inc. to support essential transportation assistance for residents in Northern Collin County needing help getting to medical facilities and physician’s visits. The grant was announced during Toyota’s “Hello Texas” event at the University of Texas at Dallas. The grant supports the continuation of the 90-day interim service presently funded by the North Central Texas Council of Governments (NCTCOG) and several northern Collin County cities. 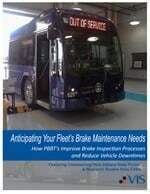 The service was previously operated by Texoma Area Paratransit Service. It is expected the Toyota grant will fund a taxi-type extension to the demand-response operation in Collin County provided by DART and the COG. The $1 million dollar grant funds the service for a minimum of 12 more months. COG is evaluating options to further extend these services while long-term funding mechanisms can be established. This extension will be a subscription-based service for eligible seniors and disabled patrons who need non-emergency medical transportation. Customers contribute a portion of the cost for each trip with the balance funded by the grant. 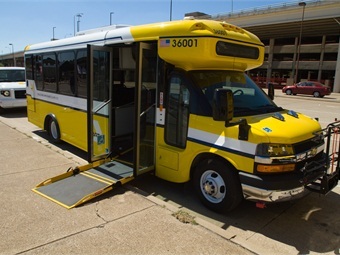 It is expected the extended service will be mostly provided by Collin County taxi operators. DART’s board of directors is scheduled to vote on an agreement to accept the donation during a meeting later this month. Receipt of the grant and the new service to paratransit-eligible customers will have no impact on DART’s budget or financial plan.